and colors begging to be copied before the first leaf falls. And while it's certainly inspiring, sometimes you just want to change it up sans commitment or salon appointments. If you're bored with your hair and neither a cut nor color is in your fall future, it's time to get creative with your ponytails. 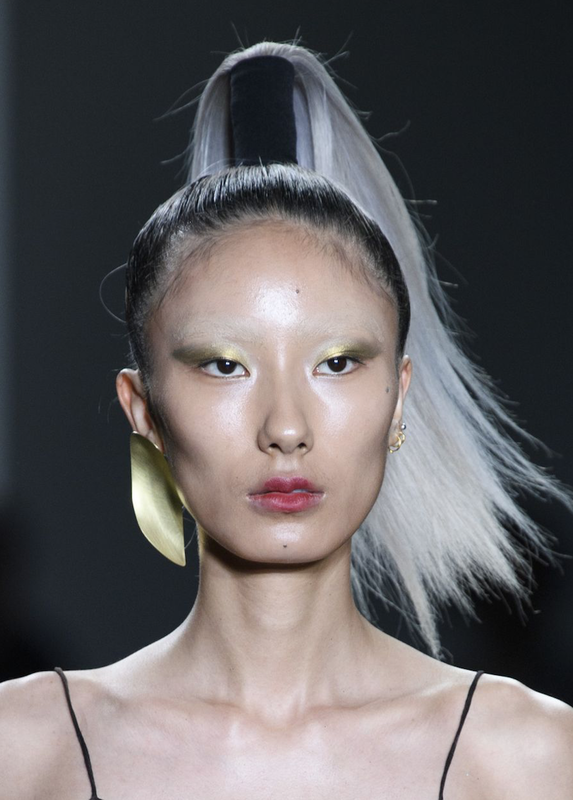 At New York Fashion Week, prime location for spotting rad temporary changes, models were seen wearing ponytails of all lengths (and heights) on the runway. There were classic, decorated, and sky-high 'tails, and one thing's for sure — they were all fabulous. You can decorate your hair with pins from the drugstore or even tie on a tassel to jazz things up, but no matter your aesthetic, you'll find plenty of inspiration for all your fall mornings, ahead. The style at Ulla Johnson was two-pronged — interwoven knots were looped together then secured at the nape of the neck with fabric. You can't go wrong with a straight, center-parted ponytail — not even on the runway. 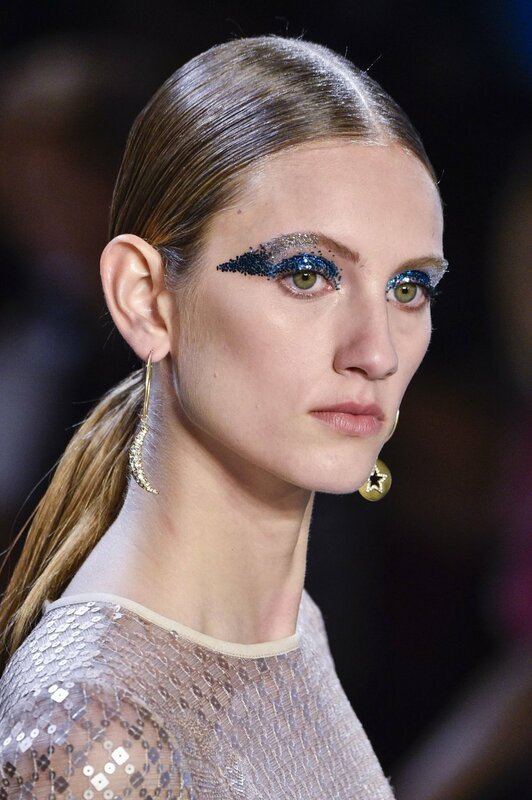 Models at Tadashi Shoji wore the sleek style, which led our attention directly to the bold eye look. If you're having an exceptionally good makeup day, this simple hairstyle is a great way to show it off. 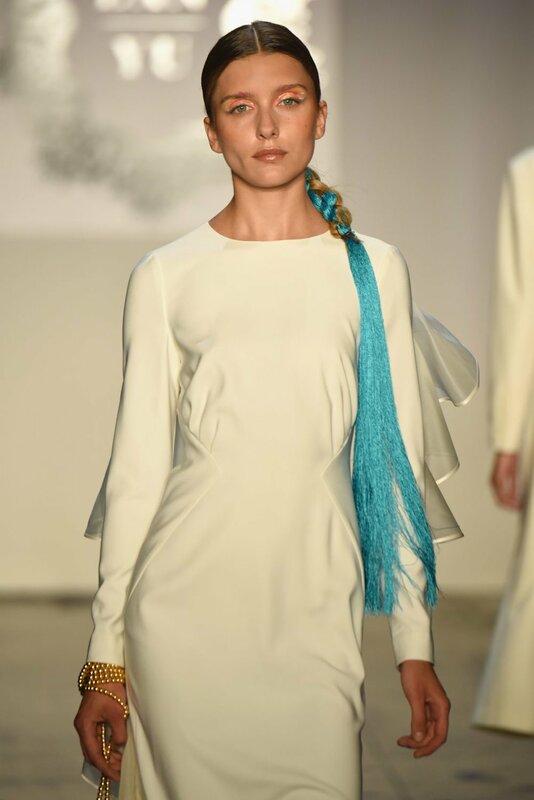 Instead of using extensions to create a long braid at Lanyu, models wore colorful tassels braided into their ponytails. We already love the fringe trend on earrings and accessories, so why not rock it on our heads, right? 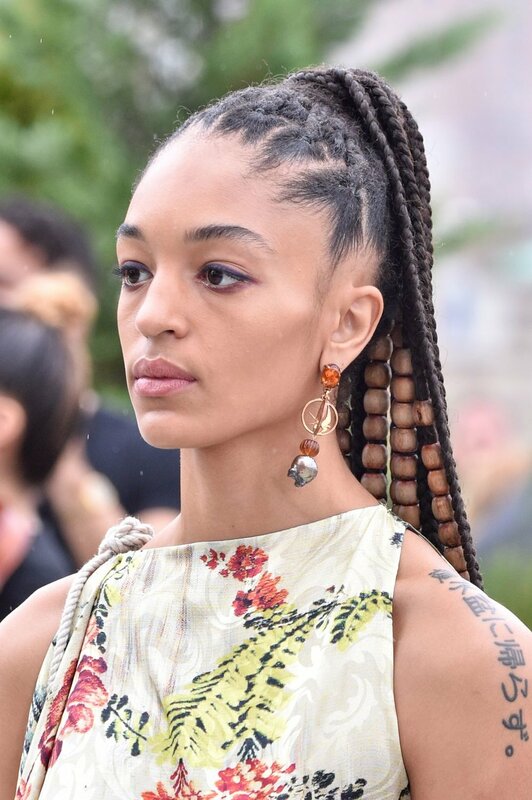 Indira Scott wore her beaded braids in a high, sporty ponytail at Oscar De La Renta. Hot Pink Hair! Printed Buzz Cuts!